I'm not yet ready to start the Christmas content on my blog (although I really do need to get a move on) but in order to edge my way in, I thought I'd do a quick round up on an ode to copper, the shadow colour that never seems to go out of fashion throughout two whole seasons. Copper probably has to be my favourite eyeshadow colour (apart from champagne) because there are just so many undertones to copper. 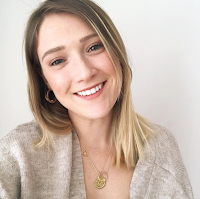 You have the rose-gold coppers, the brown coppers, the true rust coppers, so there's always different ways you can make it work, whether it's a Christmas party or if it's just an everyday look. First of all, you can't have copper without pigments, and no one does it better than Mac. Sadly this copper pigment is from last years limited edition Nutcracker range, but Mac has such a variety of pigment shades that there are so many to chose from. This shade to me is a very true rusty copper shade compared to the rest. The Mac pigments are, as the name suggests, very pigmented and with a little Fix + Spray or water, these patted on your eyes create an incredible dazzling shadow. On more of a rusty red copper side is the Mac Extra Dimension 'Amorous Alloy'. I wore this constantly during my final year of university and I can't believe I've abandoned this a little. I haven't ever been a fan of Mac eyeshadows, I found them a little powdery and not exactly pigmented, but the Extra Dimension ones have a totally different formula and consistency. These are so buttery and pigmented, I mean look at that swatch! Next is the rose-gold-champagne of coppers is Colourpop La La . Everyone knows you can't fault Colourpop when it comes to pigmentation and formula. As you can see this is a much more rose gold toned copper eyeshadow compared to the others, however I find this better in a sense of an everyday copper. Lastly is the KIKO Long Lasting Eyeshadow Stick '06' I don't think this product gets enough recognition at all in the beauty world. On par with the By Terry Ombre sticks, these are so easy to use and require very little work to blend out. These are amazing to travel with, mainly because they don't take up any space at all and with one swipe you have full pigmentation. 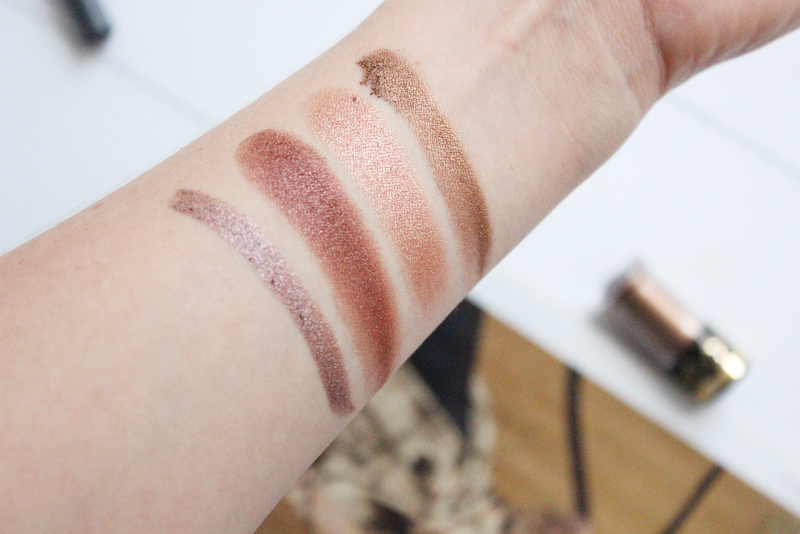 The KIKO copper is much darker and taupe based but to me still sits more in copper than it does bronze. I highly recommend everyone going to try these out in store, especially around black Friday, KIKO always have great offers on! ColourPop La La has been on my wishlist for ages - it looks like such a pretty rose gold. Coppery eye looks are so nice for this time of year! Copper is one of the nicest colours to wear on the eyes in my opinion! It looks so pretty in every kind of lighting. These shades are gorgeous! Those swatches are giving me all the feels! I love copper shades so much - they are my go to! 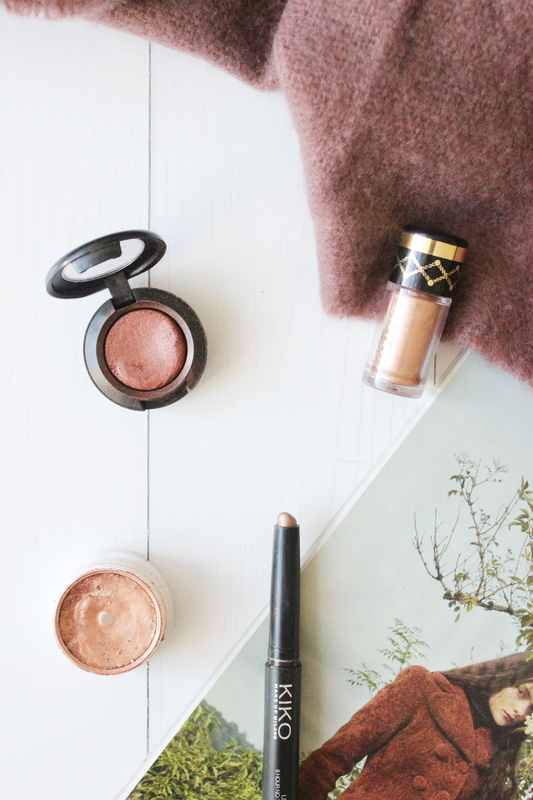 Coppery eye shadows are definitely some of my favourite shades! The colour pop pressed shadows and makeup geek has a lot of those kind of shades. They look so good on the lid! I'm obsessed with copper eyeshadows myself! I bet if you count all the shades in my makeup stash - wether that's single eyeshadows, eye pencils or in palettes - it's the one that's the most present in my collection ;) You really can't go wrong with it, especially in Autumn! I love copper at the moment, whether it be in makeup or homeware, so I am going to have to pick up some of these! Youve picked some gorgeous shades. I absolutely love Colourpop La La, it's one of my favourites!